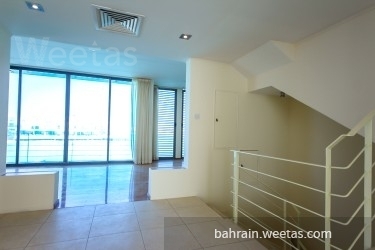 A Sea view semi furnished villa for rent in an elegant compound in Amwaj Islands. 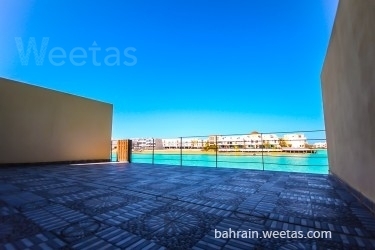 The Luxurious compound offers attached villas and a spectacular sea view. The villa consists of 3 luxurious master bedrooms, 2 spacious living areas, 2 guest bathrooms, 2 open kitchens and a spacious balcony with sea view. In addition to a storage and a laundry room. The villa has access for many amenities such as swimming pool and security system as it is located in a gated compound. 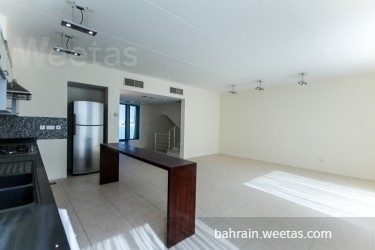 The villa is offered for rent price 900 Bahraini Dinar. 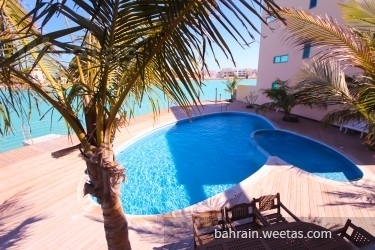 This property costs 18.7% less than the average 3 Bedrooms Villas in Amwaj Island area.